After Scott Brown won I let my buddy Daniel know that I didn’t think his election was a incumbant thing…. As such…..I reasoned ….. he would have no choice but to be a practicing moderate Republican….. In recent days he has voted with the democrats on several issues to the consternastion of the Conservatives in the GOP…. Thus joining the Senator Snowe and Collins club…….. He, he, he…….Me and the Democrats couldn’t be happier…..
Four months after being elected to fill the seat of the liberal lionEdward M. Kennedy and becoming a national hero to conservative Americans, Mr. Brown still has an air of celebrity about him. But a pinup boy for the Tea Party he is not. In his first vote after taking office, Mr. Brown joined with Democrats, and their majority leader, Harry Reid of Nevada, in support of a $15 billion jobs bill. He was the first of just five Republicans to break with the party’s leadership on that bill. And though he kept his campaign promise to oppose the big health care legislation, and has voted with the Republican leadership in the overwhelming majority of cases, he has also sided with Democrats on some important issues. Most notably, he voted in favor of the financial regulatory bill even though the Senate Republican leader, Mitch McConnell of Kentucky, and the rest of the conference leadership, voted no and denounced the measure as overly expanding the government. But his willingness to team up with Democrats is already raising eyebrows and ire among some voters in Massachusetts who backed his candidacy. They say he is betraying some of the conservative ideals that he espoused during the campaign — especially in his vote on the financial regulation bill. Ms. Varley said she was urging Tea Party members to contact the senator’s office and express their disappointment but also counseling them to develop a healthy sense of pragmatism, especially in a state as traditionally liberal as Massachusetts. In the pattern of his votes, it is already clear that Mr. Brown has joined the small club of centrist Northeast Republicans that by the start of this year had shrunk to just two members: SenatorsOlympia J. Snowe and Susan Collins of Maine. And while incumbents in traditionally Republican states in the South and the West are facing serious pressure from the right, Mr. Brown could soon be joined in the Senate by like-minded Republicans from other regions, including Representative Michael N. Castle, who is running for Senate in Delaware, and Representative Mark S. Kirk, who is running in Illinois. Tonight's Primary Race Special……..June 1st, 2010……Alabama, Mississippi and New Mexico….. Welcome to Our June 1st Special Primary Coverage…….. Here are the Races we will watch tonight…..
A very competitive Primary indeed. The two Frontrunners Bradley Byrne & Roy Moore were within 5 Points during the Primary Campaign. A Research 2000 / KOS Survey released on Monday had Byrne leading Moore 29-23. This Primary is also very competitive pitting U. S. Rep. Arthur Davis against Alabama Agriculture Commissioner Ron Sparks. Who will face Democrat Bobby Bright (D-AL 2) in November? Will Party Switcher Incumbent U. S. Rep. Parker Griffith (R-AL 5) survive the Primary? Who will replace Arthur Davis in Congress? Only one competitive Race here. Who will face Incumbent U. S. Rep. Travis Childers (D-MS 1) in November? Of Course there are Primaries in the other 3 District but they won’t be competitive. So far based on the latest Polls it looks like a Race between Dona Ana District Attorney Susana Martinez and Businessman Allan Weh. The 3 New Mexico Congressional District don’t have competitive Primaries. 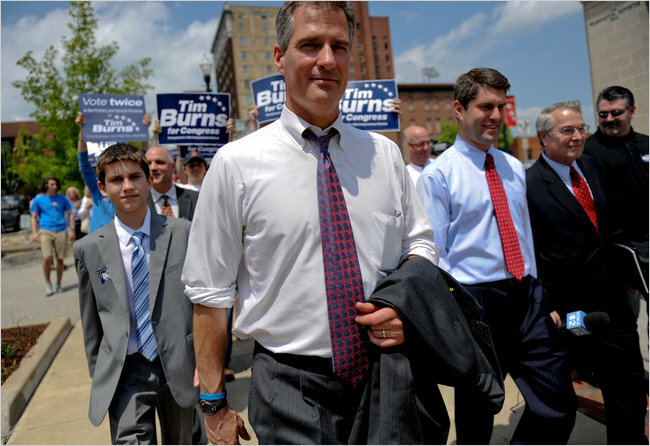 Tonight’s Primary Race Special……..June 1st, 2010……Alabama, Mississippi and New Mexico…..
Al and Tipper Gore call it quits…….. In an “Email from Al and Tipper Gore,” the couple said: “We are announcing today that after a great deal of thought and discussion, we have decided to separate.